Oberheim SEM V, Virtual subtractive synth from Arturia. 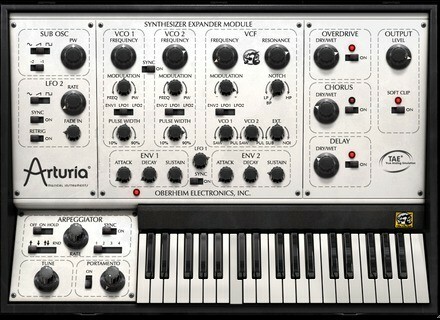 Product replaced by the Arturia Oberheim SEM V Next Generation. Arturia announces the release of the 1.1 update for the Oberheim SEM V, their software emulation of the Oberheim Synthesizer Expander Module. Arturia announces the shipping of their new synthesizer: the Oberheim SEM V.
Arturia has revealed new details about its software synthesizer: the Oberheim SEM V.
Arturia is about to bring to life in software format an Oberheim SEM V synthesizer.